We are Smith Plumbing. We’re a family whose sole goal is to help you in any way we can. We will provide you with any type of plumbing help you need; whether it is repairs, planning a new home, or remodeling your current one. Our family has been plumbing in this area since 1961, so our name has been shared with experienced and trusted plumbing for nearly 60 years. Today were on our 3rd generation, so we’ll be here to take care of you now and in the future. We pride ourselves in our customer service and craftsmanship. It is often mistaken that all plumbing work is done with the same quality and service, as this is not the case. From our experiences, finding the right company is vital. With that being said, we feel you should know the people you are doing business with and we are more than happy to tell you more about ourselves! Dan Smith has over 40 years of experience in the plumbing industry. He began working for his dad, Grandpa Bill, eventually buying the company from him 1982, beginning the second generation. In 2010 he began passing the business to the third generation when Chris joined the team and again in 2015 when Craig Joined. He has knowledge in all aspects of plumbing construction, as well as vast experience in jobs as small service calls and remodels to large commercial projects, such as hospitals and schools. His experience of being the President of the South Dakota Plumbing Commission, before reaching term limits, will help make sure your projects are done the right way. Chris Smith has over 10 years of experience. He graduated from USD with a degree in Business Management. 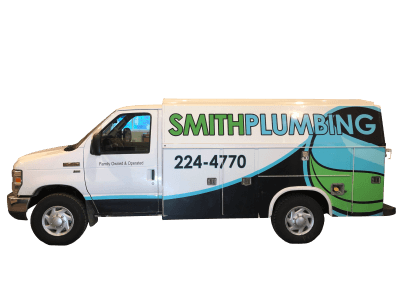 Besides working summers throughout high school and college, he has worked with Smith Plumbing since he graduated. He splits his time between office duties, estimating, service calls, and new construction. Craig Smith has over 3 years of experience. He enlisted in the US Army after high school and served for 5 years as an Infantryman, before being honorably discharged. He wanted to join the rest of his family, so he moved back and is learning the trade at a tremendous rate. He is quickly becoming a top-notch installer and foreman. Both Chris and Craig are 3rd generation family members in the plumbing industry, following their father’s and grandfather’s path of business owners. Kim Smith has over 30 years of experience in the plumbing industry. She has years of experience managing customer service and overall plumbing service departments. Whether you need help choosing the perfect bathtub or need to schedule a time for us to come and inspect your problem. Kim will be there to graciously help you. So there you have it, now you know a little bit about our family and what we stand for. We would be absolutely grateful to be able to help solve your problems and make your day that much better! We truly feel that we can offer you the best plumbing service in town, so let us prove it. Don’t miss out on the chance to get all your plumbing needs fulfilled. Give us a call at 605-224-4770.